Ontogeny® is a SingSuite® Family Member. This modular design gives you better ROI as individual products are ready to cater needs for multiple industries and fulfil multiple geographical regional needs. This also means that you can plug & play other products like SingPayroll along with Ontogeny® implementation. 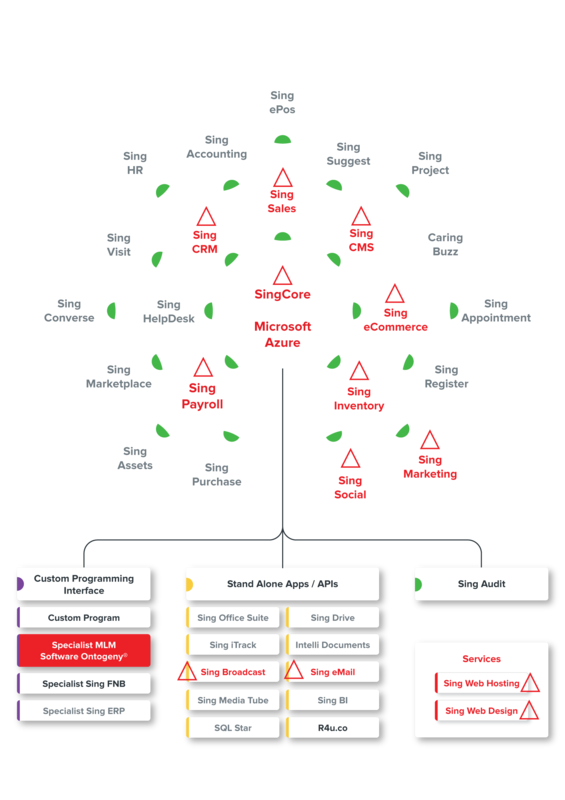 Below picture graphically depicts the SingSuite® architecture with the products available as part of Ontogeny® marked on it.